For a few years, I've followed this person who goes by "Dartell" on Twitter and had some interesting conversations with her. She had insight, seemed intelligent and was very friendly. She's a black woman in her early 30's I'm guessing with extensive political views. But lately, her political views have taken a turn into the dark side. At first, I thought she was just retweeting a few borderline racist posts. Ok, she hates Obama - which is fine, but accusing him of being Muslim and sending billions of dollars to terrorists seems a bit much. She is highly against Islam. In one post, she added a photo of a man holding a knife to his neck and states, "Muslim threatens to slice his neck. Hell WTH is he waiting for...ISLAM IS A CULT. )0v0(." Another tweet includes this: "Islam's War on Women. Egyptian Islamist Imam Says Tahrir Female Protesters are “Crusaders” Who 'Want to be Raped'." Other tweets involve incidents that include Islam involvement, and then after the tweet, she puts, "ISLAM IS A CULT." Now you get my drift. After a ton of unconfirmed photos of people doing horrible things, possibly in different countries (because half the photos people post are from another incident), she uses this to trigger emotions of those reading her. I will also note that she can be very influential with her thoughts and opinions since she is very intelligent, but one response to her followers had me rethinking that notion. Someone said, "ur a racist M8", to which she responded with, "Islam is worst than racism. Disonnect. And don't tweet me," with a photo of a man holding a bunch of knives with blood all over him along with a quote at the bottom that reads, "Come for the infidel-killing, whore-stoning religious purity, stay for the terrific falafels." She also told one of her readers to "F- off" and battled some more with a few people who highly disagreed with her. Christians can be hateful too. I honestly thought that she had lost it. This wasn't like her, so I thought. I knew she was a diehard republican, but not to this extreme. I then tweeted her. I asked her if she thought that all Christians behaved the way the Westboro Church behaves. She replied, "No." Then she sent me a private message telling me "not to go there with her because she lost many friends over this conversation." I replied, "I can see why." I also informed her that "some" people may have not wanted Obama in office because they seem to think that "all blacks are uneducated". (Which is far from the truth.) But if I wanted to go there, I could pull some pretty hefty ammunition on those small-minded..."facts". Here's her tweet back to me: "@dpasquella Westboro is a cult as well, they are not of Christians. Wannabe in the lime light to get more kooks like them. DM me." Well if she thinks that the Westboro Church aren't real Christians or Christians at all, wouldn't she also think that the people of Islam who commit such horrid crimes, aren't truly of that faith at all? Isn't she categorizing extremists and those who practice a loving and peaceful religion into one? 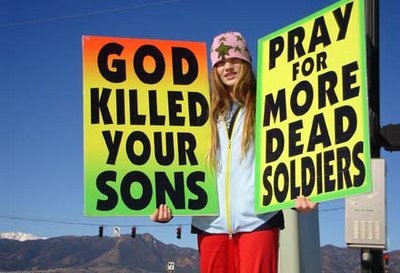 There are Christians that kill. There are Christians that picket at soldiers' funeral thanking God for their deaths. But, then again, she doesn't feel that they are "real" Christians. 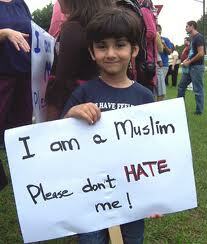 I have a very close friend who is Muslim. He practices his faith 5 times a day and is the most generous, kind-hearted person you'd ever want to meet. No rap sheet whatsoever. In a country where we're trying to all live in unity, begging for equality for all, wouldn't you think this is a bit far from trying to encourage peace? For instance, about five years ago, I had a black woman tell me that being a lesbian wasn't natural and that she was voting against gay marriage. I reminded her that 50 years ago, blacks and interracial couples weren't allowed to marry either. We all want "our" rights, but when it comes to other people's rights, --religions we don't follow or lifestyles we don't agree with, when does it come to the point of officially calling our country an unfair and unjust nation? I told her many Americans beat their dogs too, which is why sadly there are animal shelters and reminded her that my dog Lola is a rescue pup. How shallow and ignorant can people be?